I love the book Daily Rituals, by Mason Currey, which gives details of the precise preferences of various writers, artists, and composers. Their eating habits in particular fascinate me: so many writers seem to focus on their brains at the expense of their bellies, which is beyond my comprehension. My stomach clenches in knots at the idea of such foodlessness – I can’t have a cup of coffee without cake or chocolate, and I drink a lot of coffee when I’m writing. According to Currey, Proust ate croissants, but far too few for my liking. Patricia Highsmith worked from bed with a doughnut “and an accompanying saucer of sugar” which makes me think she and I would be kindred spirits. I like knowing that W. H. Auden and Graham Greene took amphetamines to help them to write; it makes me feel smug if I can get words onto a page with only caffeine and sugar for a buzz. It’s also nice to know that Proust needed caffeine tablets and barbital sedatives to keep writing his masterpiece, that Balzac may have drunk up to fifty cups of coffee a day, and that Truman Capote preferred to work from bed or horizontally at least. Reading about writers’ habits instead of forming your own ones can be a kind of procrastination, however, and it gets addictive. Anne Lamott’s Bird by Bird and Annie Dillard’s The Writing Life are books I return to when I feel low on motivation. Both are meditations on why we write, and how to live and write. They’re full of wit and compassion and sheer bewilderment at why we do this to ourselves, this endless torment of trying to write the perfect sentence, when we could be doing sensible jobs with normal hours. I find Dillard’s almost monastic approach to food fascinating – she describes writing for a whole day with nothing in her belly but coffee and reheated soup. Lamott’s title refers to a family story: when her brother was ten and had left a school report on birds until the last minute, he sat at the kitchen table surrounded by unread books, overwhelmed by the task ahead. Lamott’s father put his arm around the boy and said “Bird by bird, buddy. Just take it bird by bird.” It’s a quote I love – any writer could substitute word or sentence for bird, and it’s the perfect advice. When I read these books, I feel like I’m not alone in my efforts to battle procrastination, to will myself to stick with it. Keep going, I tell myself, just another few hundred words; come on, bird by bird. I hope that Caitriona’s post has both given you some reading inspiration (there are writers mentioned that I haven’t got around to yet) and the impetus to keep on writing….word, by word…. Thanks very much to Caitriona Lally for taking the time from her Eggshells publicity round, to contribute to The Landing. If you want to hear about Caitriona’s readings and events, follow @CaitrionaLally. 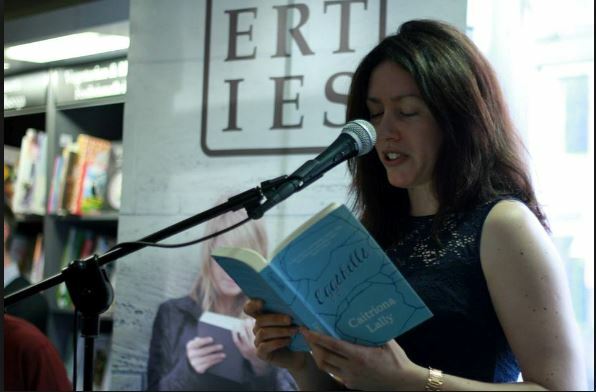 You can find out more about the process of writing Eggshells in Caitriona’s article for Writing.ie and also purchase a copy direct from Liberties Press. Picture Credits: Liberties Press & Liberties Upstairs. Published by Liberties Press, 2015. Cover design by Karen Vaughan. After quite a long gap, I am pleased to be hosting another Landing Author guest post. Over the last couple of years, I have had guest posts from some lovely writers, beginning with Andrés Neuman in April 2012 and most recently, Juliet Greenwood last August. As you can see, it has been quite a while… In looking back, I note that I have said the very same thing before so perhaps I need a better ‘Author Routine’ to keep me regular. Vivian is a self-professed changeling, left by fairies to compete with her parents’ human child, also called Vivian. With the parents dead, the two adult Vivians are all that remain. Human Vivian is married with children and uninterested in her sister’s strange ways. The narrator lives alone in her great-aunt’s house, filling her days with sugary treats, dressing up and a variety of bizarre pastimes as she seeks a way out of this world and back to her own. It is an interesting set-up, with a clever ambiguity surrounding the narrator. The book is rooted in the natural world of contemporary Dublin, but to Vivian’s eyes this is a fairytale world, full of rules of threes and sixes, and potential gateways to supernatural lands. How much of her changeling status is fictional, the delusions of a severely disturbed character, is left for the reader to puzzle over. This question gives momentum to Vivian’s escapades. It also, somewhat unexpectedly, provides plenty of laughs in a book full of one-liners. A loose plot develops out of this affinity with language when Vivian pins a notice to a tree: “I want a friend called Penelope. When I know her well enough, I’ll ask her why she doesn’t rhyme with Antelope.” The new friend, actually called Elaine, is another oddball character. Struggling herself with mother issues and an obsession with painting cats, Elaine/Penelope doesn’t judge. More importantly, she promises she’ll organise a vertical burial for Vivian, which is all Vivian has ever wanted in a friend. The black comedy gives the book a jaunty quality that complements the dazzling trip around Dublin. From the “soot-streaked backs of the buildings at the junction of George’s Street and Dame Street” to the “fierce bang of hops from the Guinness factory, a smell somewhere between meat and toffee”, Lally uses Vivian’s otherworldly perspective to bring the city to life. Caitriona, a lover of words who confesses to having no proper writing routine, has written a post for us about her obsession with other writers and their routines. I won’t spoil the blog post by telling you about any writerly habits that you may or may not wish to emulate (on Friday you can judge the wisdom of those mentioned). Caitriona Lally studied English Literature in Trinity College Dublin. She has had a colourful employment history, working as an abstract writer and a copywriter alongside working as a home help in New York and an English teacher in Japan. She has travelled extensively around Europe, Asia, the Middle East, and South America. Her essay about Grangegorman appeared in a recent issue of We Are Dublin. Eggshells was selected as one of twelve finalists in the Irish Writers Centre Novel Fair 2014. [i] Since I have been associated with Liberties Press, I have similarly featured the books of Bethany Dawson (guest blog post) and Daniel Seery (Q and A). Picture credits: Liberties Press and the Irish Times. 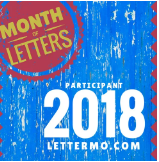 I have borrowed my post from the Members’ Blog on Writing.ie, in which I talk about a new venture that I am involved in organising for Liberties Press In Dublin. The main reason I want to mention the Culture Club venture here is that the first session features a previous #LandingAuthor, Daniel Seery (author of A Model Partner). Sometime soon I hope to include a guest post from Caitriona Lally (Eggshells) as well so that’s a another reason for borrowing my blog post. Of course, I’m also not averse to spreading the word about the Liberties Upstairs Bookshop’s Culture Club either! As the Liberties book group runs in a morning, we‘ve opted for an evening culture club, which we hope will be similarly supported by the local community. Indeed, some book club members have already expressed an interest in the new Liberties venture. The club will run on the last Wednesday of the month, with the inaugural event on 24 June at 7.30 pm. For this session, I am delighted to have debut authors Daniel Seery (A Model Partner) and Caitriona Lally (Eggshells), both alumni of the Novel Fair to talk about writing, pitching and getting a publishing contract. Both writers will speak and give a short reading, so it will be a packed evening to start our series of events. It should be a lovely beginning to our new programme; Daniel and Caitriona are looking forward to appearing, so I hope that a good time will be had by all. Events and launches are an important part of any bookshop’s strategy in the ceaseless quest to increase footfall, that dread word. The Liberties Upstairs bookshop has hosted several events since setting up Liberties Upstairs in November 2013. However, this is the first time for embarking on organising a series of events. Initially I have planned a programme of six sessions with a further six in the pipeline for next year if all goes well. We plan to announce the first part of the programme at the June meeting. I hope that some people will be keen enough to sign up for the whole six sessions. My technology skills (!) have enabled a booking facility through our online shop (€5 euro per event) so I felt quite a sense of achievement when receiving the first confirmation. Look out for a future post on The Landing from Caitriona Lally, and if you’re Dublin based, look out for future Culture Club events in Liberties Upstairs! In 1925, an artist by the name of Francis Cugat was commissioned to design the cover of F. Scott Fitzgerald’s ‘The Great Gatsby’ despite the fact that the novel had yet to be completed. When the author saw the cover, he was so enamoured with it that he told the publisher he had written it into the book. This is the power a cover illustration can have on a book.